You can submit your prescription refill requests online. Get scheduled refills of your prescription medication. You are welcome to transfer your Rx to Nick’s Drugs Store. Can’t drop by our drugstore? No problem! We deliver to your home. Nick’s Drugs Store is a Pharmacy in Bronx, New York. We provide full and personalized service to all of our customers. 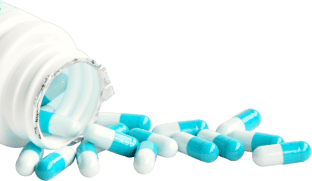 We offer quality pharmaceutical products and services for doctors, clinics, hospitals, nursing homes, corporate offices, families & the community. Our pharmacists are on site to offer you personal care and expert advice on proper medication use and drug interactions. 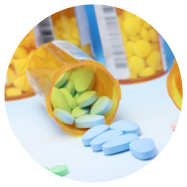 We are more than just an everyday pharmacy that dispenses Medications in Bronx, New York. We work hand in hand with your physician to ensure your prescription treatment is appropriate and effective. 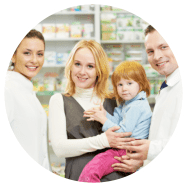 Our primary goal at Nick's Drugs is to provide our patients and community with the best possible healthcare as well as quality healthcare products at a reasonable cost. Each patient receives counseling by the pharmacist in a professional and courteous manner. 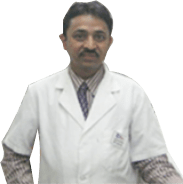 Patients are treated with the outmost respect with the intention of providing superb customer service. At Nick's Drugs every attempt is made to make patients feel at home. We invite you to sign up online and become a registered customer at Nick’s Drugs Store. We value your loyalty and trust in our products and services.